When you receive your tax refund A.K.A – a big lump sum of money – how do you plan to use it? Do you first think to save it all? Go on a big trip? Pay off credit cards? Get your pool re-plastered? It’s hard not to start thinking extravagantly on what you could be doing with all of it. Whatever it is, there needs to be a strategy involved so you can make the most of your tax refund. Tax Tiger, an IRS tax attorney in Minneapolis, discovered several ways on how people commonly spend their tax return, but probably shouldn’t. 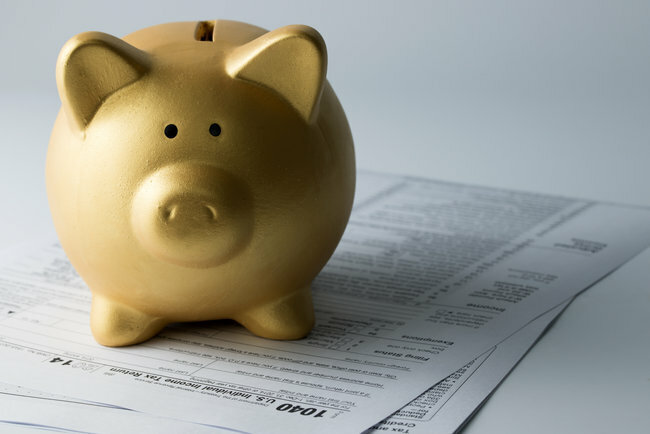 So, if you are one of the 77 percent who received a tax return, here are a few of those ways that you should avoid using that money towards. The GOBankingRates survey found that 27 percent of people were planning on paying off debt they had with their credit cards. According to Professor of accounting at Northeastern University’s D’Amore-McKim School of Business, “The goal in spending a tax refund should be long-term financial security. Just reducing card balance to run it back up does no good.” If you are just paying off your credit cards only to rack up the debt again, then you may have a problem. Paying off the credit card and getting rid of it the card may be a better answer for you. Certified financial planner at Palisade Hudson Financial Group, Benjamin Sullivan believes that saving your money is only a good idea if you don’t have an emergency fund. He said, “ Especially for younger taxpayers, consider contributing your refund to your retirement savings or other long-term investment accounts, where your long-time horizon can result in more robust growth.” You could also consider a bond with a high interest. Maybe contact a financial advisor if you are lost about this one. One thing you could do that could really put you in a bad spot is spending the refund before you even have the money. You could expect a lot to come your way but you refund could get delayed or you could receive a lot less than expected. Filing earlier should get you your refund earlier, but don’t spend the money before you even have it. Here at Tax Tiger, a tax attorney in Minneapolis, we aim to make sure the any issues with the IRS can be resolved when it comes to your taxes. If you end up by owing money to the Internal Revenue Service when you know that you should be receiving a tax refund, this Minneapolis tax attorney wants to make sure you get what you deserve. Because when it comes to your taxes, there may be a lot of ways you could spend it poorly, but in the end is your money to be spending.